Which was to say, in managing recent disasters Chile did it right and America did not. In the Atacama desert the government took charge of the rescue, realizing early on that the mining company (although it is state-owned) could not handle it. In the Gulf of Mexico the government stood aside while BP fumbled and prevaricated. The Chilean strategy involved backup plans and acceptance of expert advice. The BP approach was to try and try again, beginning with the cheapest possible solution. The result was serial failure and a public relations disaster. CNN anchors kept calling the rescue “historic.” It was, but not in their 24-hour view of history. 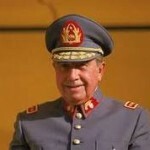 Not so long ago, in the longer view, if you called Chile you would get Augusto Pinochet. The New York Times interviewed people in the Atacama who live with the memory that 37 years ago a Pinochet death squad flew in by helicopters and murdered 16 suspected communists, including miners, at the same place. The “caravan of death” methodically moved on to other communities of leftists. 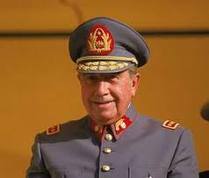 It’s commander, now an ailing octogenarian as was Pinochet, has been identified but never prosecuted. The first murders were in the weeks following the September 1973 military coup that opened with the bombing of the presidential palace in Santiago and the death of the elected president, Salvador Allende, beloved by the labor leaders in the exploitive copper industry. Canadian journalist Naomi Klein makes the case that the Friedmanism of Chile was the actual goal in the dreams of the American neo-conservatives who brought us the Bush era. For Chileans it was a nightmare. Her book “The Shock Doctrine” argues that venal political leaders can sack a government and distribute the proceeds among themselves if they first create a state of shock and awe among the people similar to the sensory deprivation techniques that used to be called brainwashing. Whatever the theory, the Pinochet regime deliberately withheld economic relief as the Chilean economy disintegrated, then convinced the citizens who were in a state similar to the results of torture that the answer to all their problems was privatization. It worked. The economic numbers seemed to shine. Chile became the Friedmanist model. Washington, with a lot of activity by Henry Kissiner, supported the Pinochet regime as an anti-communist example. And, although this fact was not trumpeted by the neo-cons, the Pinochet gang became very wealthy. But Chileans know this. They have been through it. They have now restored democracy and moderate social programs (Allende had gone too far). The presidential palace has been repaired and a statue of the Allende, kind and bespectacled, stands nearby. There are no statues of Pinochet, who ruled until 1990, and when he died in exile in 2006 people danced in the streets in Santiago (although there were counter-demonstrations and rioting). It now appears that insurgent Republicans who believe government is “broken,” meaning the American constitution needs to be fixed, will win significant power in November. To label them as Friedmanists, although it’s doubtful most of their candidates have ever heard of the late economist, is not a logical stretch. On the cover of one of Glenn Beck’s books he is dressed in a tacky military uniform that could qualify him as dictator of a banana republic. It’s not really that funny, if you know anything about Latin American history.